under heaven given to men by which we must be saved. On this Christmas Eve are you busy making the final preparations for tomorrow? Perhaps like me, the time for preparation has come to an end, and family will be gathering soon. What are your plans for today, and how prominent is Jesus in those plans? How have you determined to give Jesus the central place that He deserves? Two thousand years ago, the angel Gabriel proclaimed the greatest news ever given. 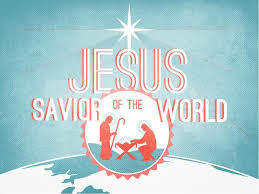 He appeared to Mary, announcing that she would bear the Messiah, the Son of the Most High. Immanuel would come. God would dwell among men. What an amazing event! Mary responded to Gabriel, How will this be…since I am a virgin? (Luke 1:34). Mary’s question revealed her lack of understanding; but at the same time, it revealed her belief that God’s Word would be fulfilled. Mary heard the good news and believed! Like Gabriel, you and I have great news to share. Jesus, the promised Messiah, has come, and He offers eternal life to all who believe in Him. There are many who need to hear this news of hope through Jesus Christ. Some who hear the news of salvation will respond with faith. Others will respond with doubt or even rejection. But the response of man does not change the reality of God’s truth. Salvation is found through faith in Jesus Christ alone. And so, as you go throughout your day, regardless of your activity, will you determine to give Jesus a prominent place in your thoughts and words? Will you purposefully praise Him who set aside His glory and came to dwell among men, that men might forever dwell with God. Who needs to hear that the Messiah has come? Will you step into Gabriel’s shoes today and be God messenger of great news? Lord Jesus, open our mouths today to declare Your praise and salvation. We ask for grace upon those who hear, that they would be saved. All glory to You! Amen!